2017 is in full swing so it's time to start acting like it—at least in terms of your wardrobe. And while looking at the trends this new year has already so graciously brought to us, it's looking like there are nothing but stylish days ahead. As a whole, the 2017 trends we are coveting are ones that are sassy ('80s glamour), practical (low heels) and whimsical (big sleeves). In even better news, each of the buzzy items ahead can be purchased for under £80, and we are here to prove it to you. With a little research, and an absurd affinity for online shopping (it is our job after all), every single one of the on-trend items you should have in your wardrobe this year were officially tracked down at the lowest prices possible. Now enough talking—time to shop. Scroll down to shop the 2017 items your wardrobe absolutely needs all for under £80. Wear these with your favourite pair of heels for a fashion forward look. Meet every It girl's favourite layering piece. Swap out your everyday denim for a more exciting pair. Layer this top underneath a band tee or even just with a bralette for a night out. Your all-black look will thank you for this festive bag. Over your coat, a T-shirt or a dress, corsets are proving they are here to stay in 2017. This is a trend every fashion girl should have on their radar. 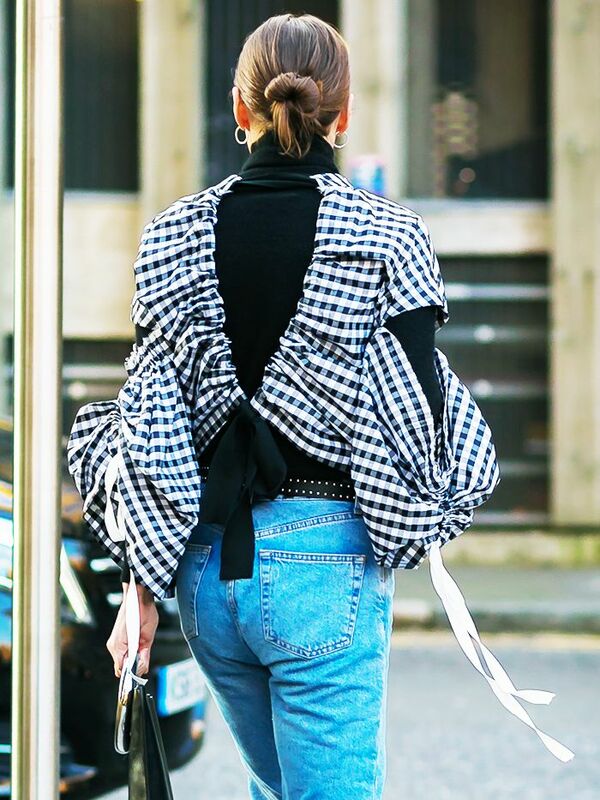 Statement sleeves can make or break your outfit—trust us. Interesting earrings graced the presence of nearly every model at fashion week. Instantly upgrade skinny jeans and a white tee with this embroidered robe. Bloggers everywhere are taking a liking to this particular trend. Any shoe that won't cause us pain is a shoe we are on board with. An ode to this decade is always a yes. Want more new season tips? These are the seven trends you need to know about for spring/summer 2017.